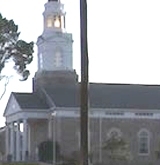 Bacone College is Baptist college with 965 students located in Muskogee, OK. Describe the type of student who should not attend Bacone College and explain why. Describe the type of student who should attend Bacone College. Why? What are the top 3 reasons someone should attend Bacone College? What was a typical Bacone College student like in high school? Describe the type of person that should attend Bacone College. What are the top 3 things that students do for fun at Bacone College? 83% of students received Pell Grants, which are provided by the U.S. government to students from middle and lower income families. It gives you an idea of a school’s socio-economic diversity. Campus housing is available for undergraduates and is mandatory for freshman. Housing deposit : $100.00. Freshman allowed to have car. No pets. Rev. Dr. Robert J. Duncan, Jr. The average student pays $14,245 for tuition, fees, and other expenses, after grants and scholarships. Total stated tuition is $11,350, in-state and on-campus, before financial aid. Learn more about financial aid at http://www.bacone.edu/financial-aid/. Estimate the net price for you at http://www.bacone.edu/admissions/financial-aid/tuition-calculator/. 5% of students graduated in six years. 33% of full time students continued studying at this school after freshman year. Bacone College participates in the NAIA Division I for college athletics. Want more info about Bacone College? Get free advice from education experts and Noodle community members.